CLICK HERE! 1) Remove the ashtray and two exposed screws inside the ashtray cavity. 2) Unsnap the shifter boot molding and remove the two exposed screws. 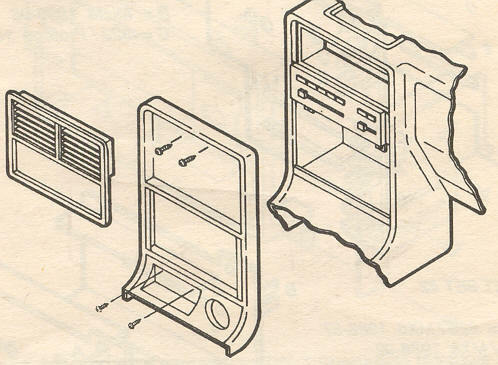 3) Gently unsnap the A/C control bezel and remove two exposed screws. 4) Pull the bezel away from the dash and disconnect any wiring. 5) Remove four screws securing the factory car radio to the dash. 6) Pull the car radio forward, disconnect antenna and connectors.